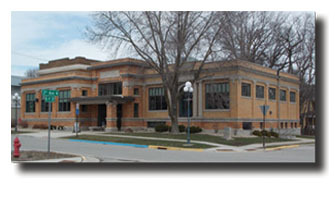 The library is primarily funded by the City of Clear Lake, and is governed by a Library Board of Trustees appointed by the Mayor. Cerro Gordo County also provides funding for service to rural residents. 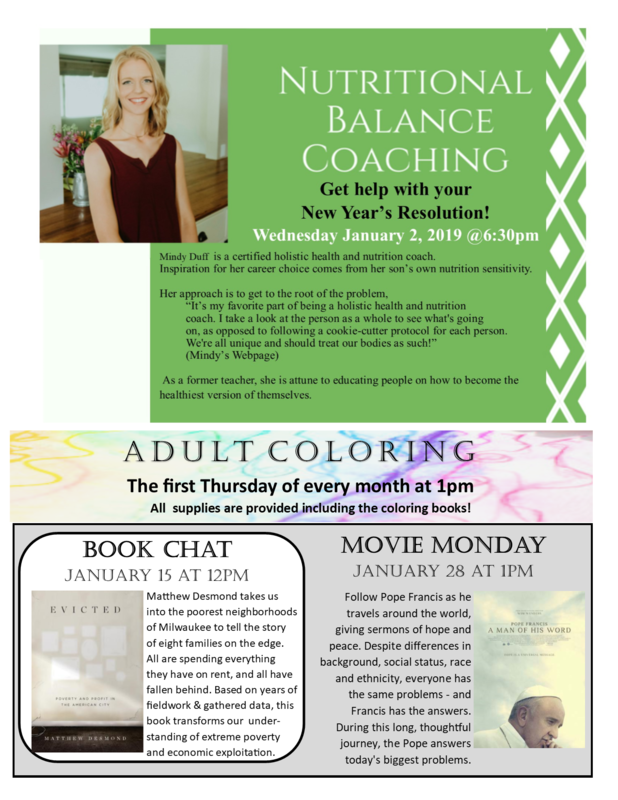 The Friends of the Clear Lake Public Library and the Clear Lake Public Library Foundation provide special support for the library. 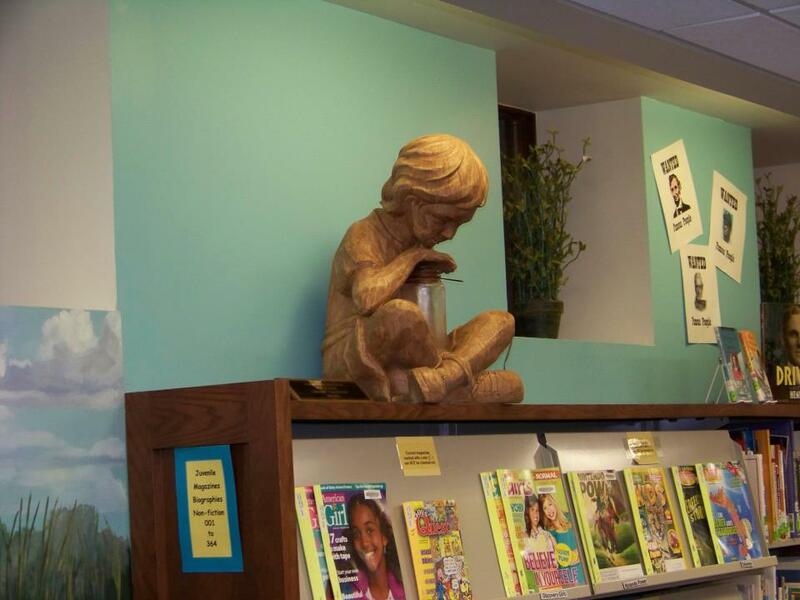 This nonprofit Foundation was established in 1983 to accept and manage gift monies for the library. Such private gifts enrich library services and collections. The Foundation encourages bequests and planned giving. 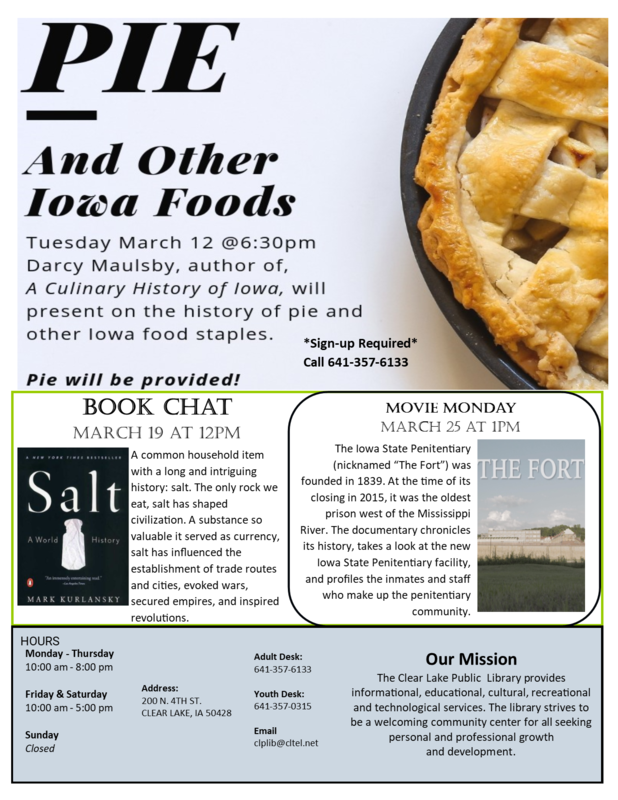 Contact Library Director Jill Pannkuk at 641-357-6133 for more information. 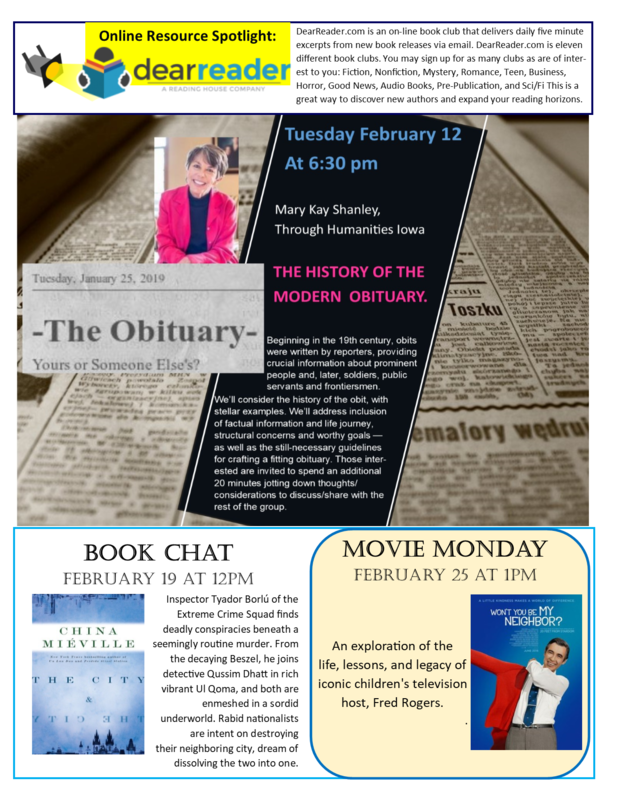 Persons interested in being more involved in the library may join the Friends of the Clear Lake Public Library. Friends provide volunteer and financial support for many library projects and programs, truly making a difference in the quality of service provided by the library. 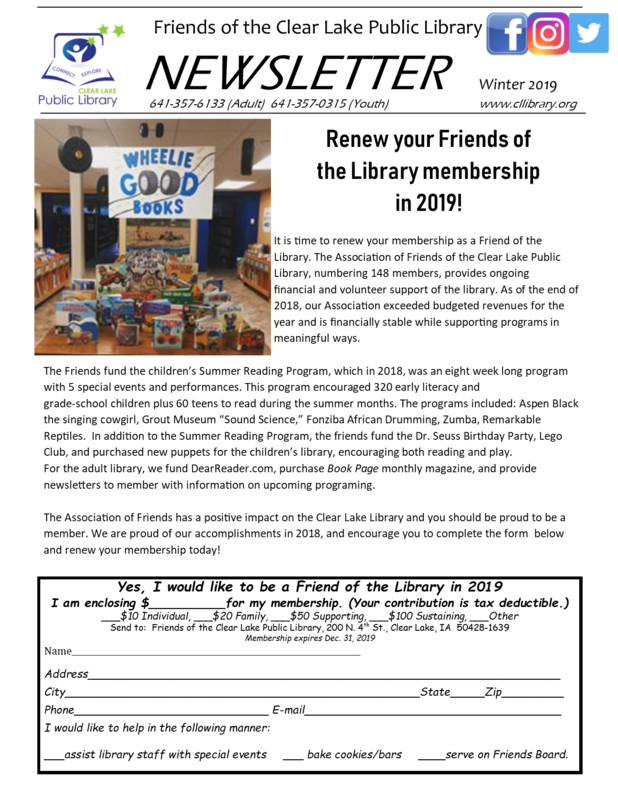 You may join this non-profit organization by printing a membership form and returning it to the library. The “Twice Read Tales” book sale is ongoing and open during the library’s regular hours. Inventory includes fiction and nonfiction in paperback and hardcover, and various media. Most items are priced at less than one dollar. Donations of gently used books (excluding textbooks, condensed books and encyclopedias), DVDs, music CDs and audio books on CD are accepted for the sale. Persons may Adopt-a-Book or audio-visual item by donating the cost of that item. This is a great way to honor a friend or family member for a birthday, anniversary or other special observance. Contact a staff member for title suggestions. Bring your ink jet and laser cartridges, and cell phones to the library to be recycled. This is a win-win as the Friends receive cash for recycled items while helping the environment.